The Ligier JS P217 unveiled at Spa-Francorchamps! After undergoing its first tests at Magny-Cours the Ligier JS P217 was unveiled this evening at the Spa-Francorchamps circuit. 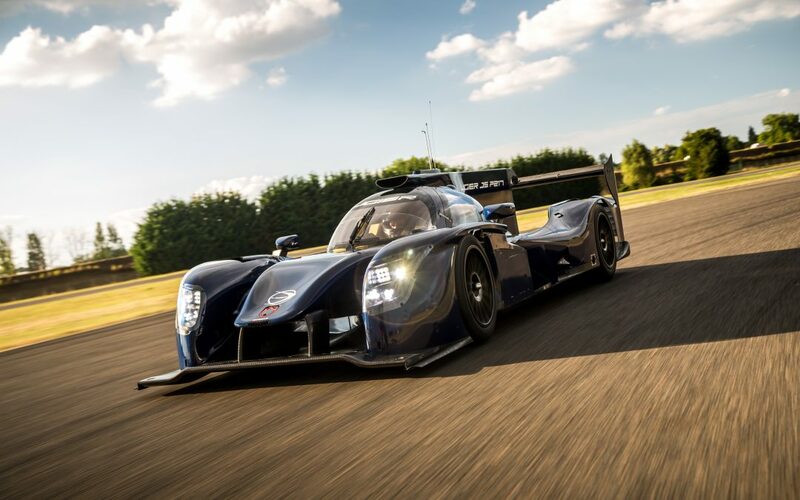 Onroak Automotive presented its brand-new LM P2 to numerous guests, media, teams and drivers at the fifth round of the European Le Mans Series. The Ligier JS P217, a new LM P2 complying with the regulations that will come into force in 2017, was unveiled today Friday 23rd September 2016 after more than a year of intense work. This new model takes advantage of all Onroak Automotive’s experience in the construction of LM P2 chassis. The design of the Ligier JS P217 is the fruit of the know-how of the Onroak Automotive Design Office directed by Nicolas Clemençon. It is a completely new car and it makes use of very advanced aerodynamic studies that have optimised drag reduction and led to the development of a particularly efficient cooling system. The Ligier JS P217 left the Le Mans workshops early in the week to have several shakedown sessions on the Magny-Cours circuit. As these tests fulfilled all the Onroak Automotive’s expectations, the development programme will go ahead as planned so that the first cars delivered to clients will be as fully sorted and fine-tuned as possible by the end of the year to run in the United States, where the first race will take place in January. This presentation is organised a few days after the announcement of the presence of Onroak Automotive in DPi via a partnership with Tequila Patron ESM and Nissan. Two Onroak Nissan DPis based on the chassis of the Ligier JS P217, powered by Nissan engines, will race in the IMSA WeatherTech SportsCar Championship in 2017.